Amazon, the online retail giant tempting cities nationwide with the prospect of hosting its new national headquarters, has had discussions with a representative about buying a South Jersey airport, a source tells PhillyVoice. A deal for the small Millville Executive Airport in Cumberland County by Amazon could create some strong synergy and enhance Camden's bid to host the retailer's HQ2 goes the logic. Having its own dedicated airport in South Jersey could influence Amazon to choose Camden, according to Camden County Freeholder Director Louis Cappelli Jr.
A spokesman for the Delaware River and Bay Authority, which operates the airport, said he was unaware of such conversations. Amazon already operates a large distribution center in Logan Township, Gloucester County, about 40 miles from Millville. Logan is about 20 miles from downtown Camden. Millville Airport is 46 miles to the city. Meanwhile, Camden and three other New Jersey cities have passed through an initial vetting by the state Economic Development Authority for a package of financial incentives aimed at bringing Amazon's HQ2 to New Jersey, according to ROI-NJ.com. While not part of Amazon's own process, the state's support for financial incentives boosts the viability of applications, which are due to Amazon on Oct. 19. In choosing Newark, Jersey City, New Brunswick and Camden, the EDA bypassed about 15 other interested New Jersey locations, such as Atlantic City and Salem County. Those locations are still free to submit directly to Amazon. 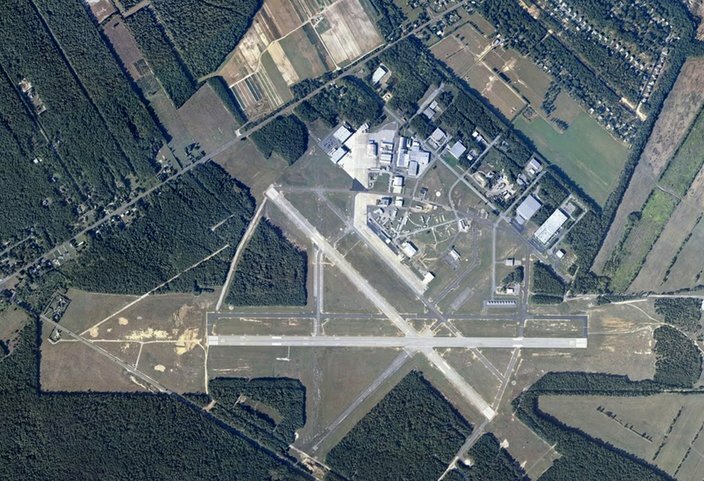 The Millville Executive Airport in Cumberland County in South Jersey. A spokeswoman for the EDA declined to comment, but issued a statement: "The EDA and its Partnership for Action colleagues are working diligently to prepare a proposal to Amazon that will ensure the greatest chance of success for New Jersey. With that goal in mind, we cannot provide additional details at this time." State officials have asked the four top applicants for more information and then will settle on backing one or more locations, according to ROI-NJ, which began digital business news coverage in September. Cappelli said the EDA asked for more details in general, and specifically about potential locations and transportation in Camden. He said he does not expect to make any additional public comment before Amazon's deadline. Cities across the country, including Philadelphia, are in a frenzy to land Amazon's HQ2, which could bring a $5 billion investment and as many as 50,000 high-paying jobs. Amazon is headquartered in Seattle and the new location is seen as likely spreading the company geographically. Its founder, Jeff Bezos, and his wife, MacKenzie, a novelist, attended Princeton University. He owns property in Manhattan and Washington, D.C., as well as a ranch in Texas. In New Jersey's favor for selection are an educated workforce and a robust transportation network. But the high cost of housing and doing business in the state are seen as weaknesses by some analysts.